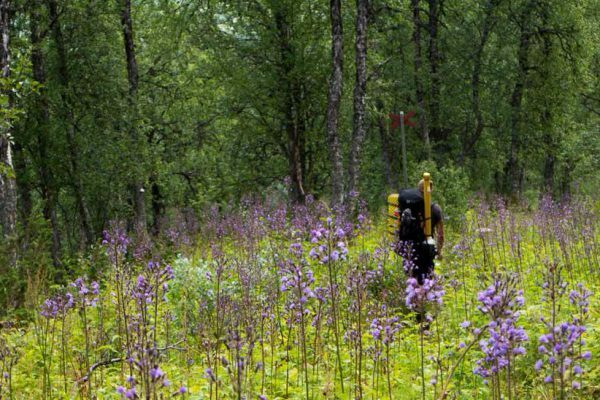 The Classic King’s Trail starts in Hemavan and ends in Abisko. My friend Niklas and I had some time and wanted to walk this trail and end it with the Fjällräven Classic event in Abisko. In the end we walked around 550km (342 miles). Along the trail there are a couple of lakes you have to row over. We had a leaking boat one day and that was quite exciting. Overall the trail is lovely and I like it a lot but the best parts of it are above the tree line. In the morning you can have reindeers around your tent and if you’re especially quiet you can watch them during your breakfast before walking on. We walked the trail in 17 days and later the same year we walked Little King´s Trail in the southern part of Sweden, which takes a couple of hours both ways. 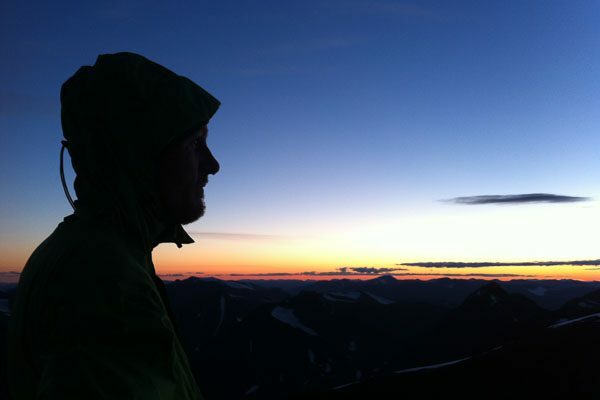 Kungsleden was created by Svenska Turistföreningen (STF) at the end of the 19th century, in order to allow more people to experience the beauty of Lapland. 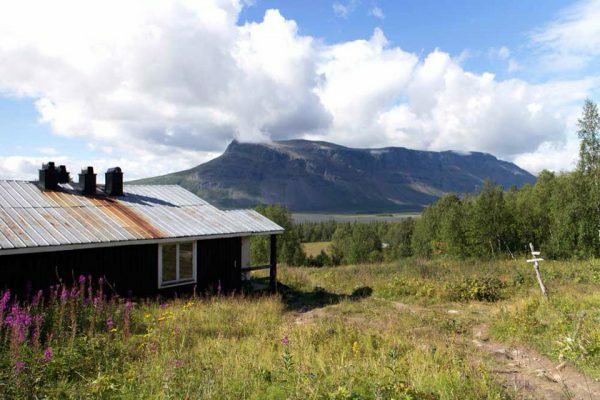 It runs for about 440 kilometres (270 mi) between Abisko in the north and Hemavan in the south. The trail is well marked and many sections are well equipped and maintained by STF, with plank walkways covering swampy or rocky ground, but other sections further from the trailheads are eroded and rocky, increasing the difficulty of hiking some parts of the trail. The further north you walk the more people you will encounter. From Hemavan to Ammarnäs we talked to a few people every day but overall we only had each other. From Ammarnäs to Kvikkjokk we only spoke to people around the huts. From Kvikkjokk to Saltoluokta the amount of people increased every day and closer to Kebnekaise we saw people in the distance all the time. 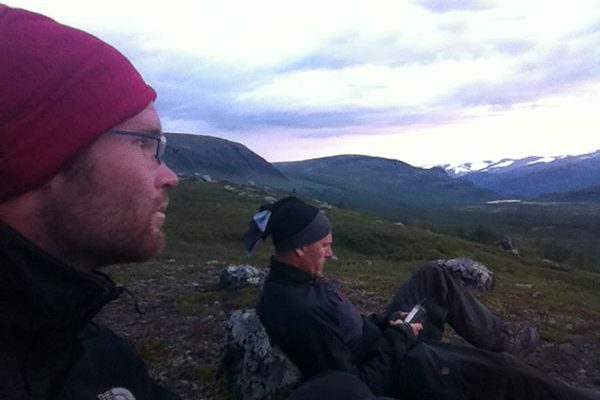 We actually walked to Nikkaluokta to join Fjällräven Classic and with 2000 other people walk up to Abisko. It’s a good way to meet other people with similar interest. National Geographic wrote this “While it is possible to hike in either direction, it’s best to travel from north to south—that keeps the sun warming your face, no small consideration in the Arctic.” I would say the opposite! You should walk from south to north – most of the other people walk the other way around and this way you probably only row the boats one way instead of three. If you need solar power you can easily attach your panel on the backpack and charge it throughout the day.